Maria Wunderlich is currently a Lecturer and Research Fellow at the Institute of Pre- and Protohistoric Archaeology, Kiel University. She has obtained her Master of Arts in 2014 in Kiel, her Master thesis being awarded the archaeology award of the Archaeological Society Schleswig-Holstein. For her PhD-studies between 2014 and 2018 she was involved in the DFG-project “Equality and Inequality: Social Differentiation in Northern Central Europe 4300-2400 BC” as a research assistant. 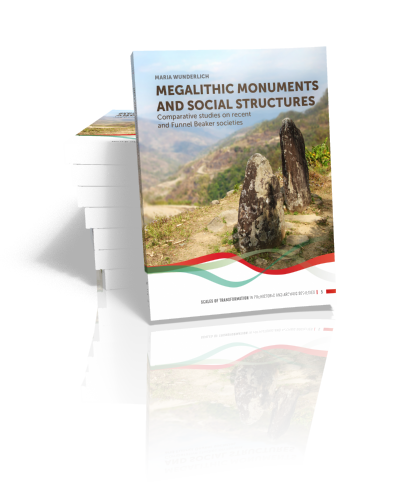 For her comparative thesis on “Megalithic monuments and social structures” she conducted ethnoarchaeological field work in Sumba, Indonesia, and Nagaland, North-East India. Being interested in social archaeology and comparative analyses, she combines different theoretical approaches with material data derived both in recent and archaeological contexts. She obtained her doctoral degree (Dr. phil) in 2018.